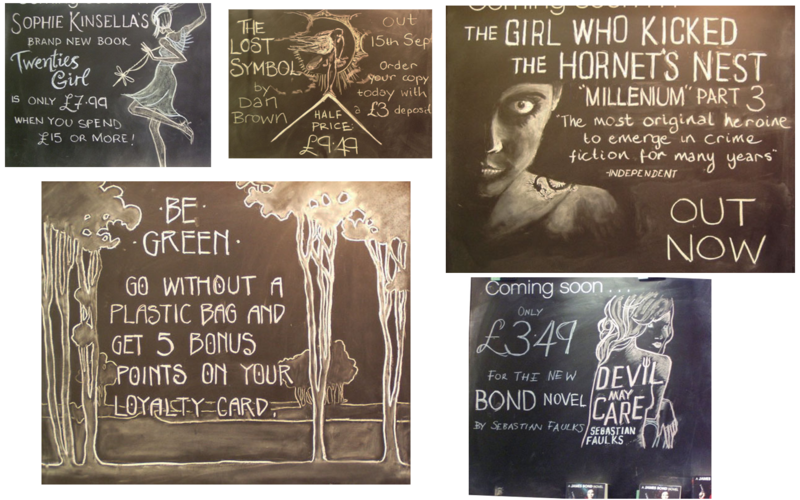 I realised I never collected up any examples of my chalkboard art! 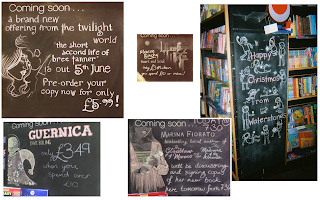 This is from when I worked at Waterstones full-time, and there were offers and events to advertise. 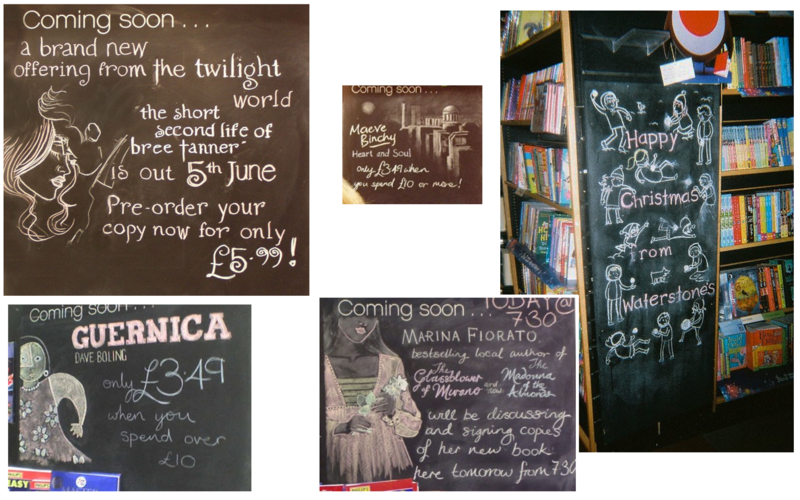 Sadly, I didn't photograph about 60-70% of my chalboards as they were only ever up for about a week. 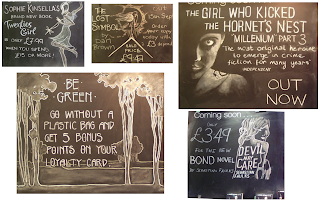 I created some less temporal stuff as well - posters for the kids club etc, but there was something I liked especially about the chalkboards. It's always interesting to work with limited materials (having about three pale colours and a black background makes you think about what you can do effectively).